A pinch and a punch - it's the first day of the month! Can you believe it! It's the first day of December, the first day of Summer and only 24 more days 'til Christmas. Gosh, time is flying! Now that we have got through the birthday celebrations for Baby Matthew - I am SO looking forward to the Christmas season. I make Clark Griswold look small time! 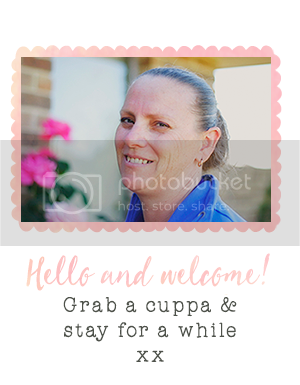 Anyway, the first day of December is a HUGE day at Stamp with Me and Stampin' Up! 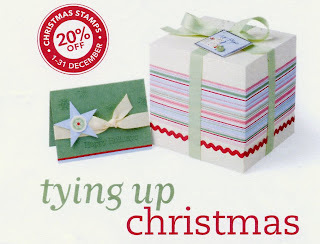 For the month of December, you can get some of your favourite Christmas stamp sets and accessories for 20% off the regular price. All you need to do is spend $20 on regular merchandise and you get 20% off select products. How good is that? 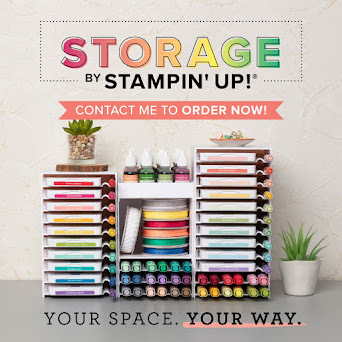 Go to my Home page for more information! But the good times don't stop there! Today is the first day of the new 2008-2009 Summer Mini Catalogue from Stampin' Up! 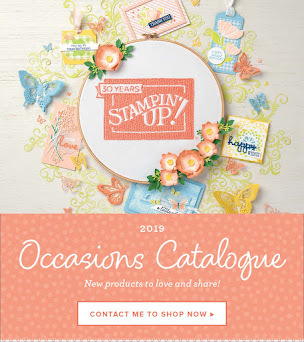 Lots of reasons to get you crafting and stamping through the summer. Contact me now to get your copy!